In an attempt to become well acquainted with the 2014-15 Cal Poly San Luis Obispo Wheelmen community, Hank Mandsager marks the fifth rider spotlight. The following information was provided as a set list of questions, which Mandsager entertainingly answered. All responses are unedited. How long have you been a member of the Cal Poly San Luis Obispo Wheelmen or Wheelwomen? What is your favorite part of the Wheelmen and cycling, in general? 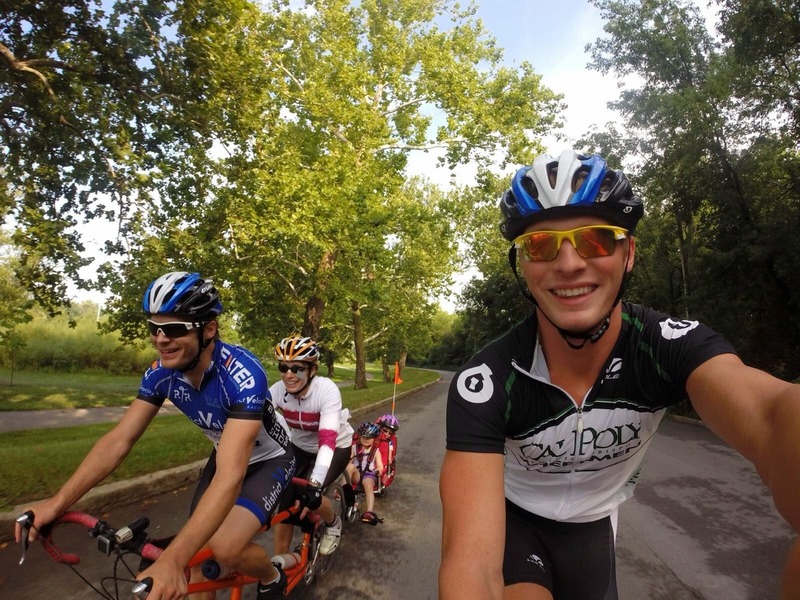 My favorite part about the Wheelmen is that it is a group of people who come together to ride bikes but always end up being a great group of friends. Cyclists, in general, tend to be a fun group of people. What cycling disciplines are you involved with? Please describe your favorite San Luis Obispo ride. My favorite ride in SLO is definitely the annual Death Ride down from Big Sur. There is nothing better than the windy, two-lane road that towers above the perfectly blue Pacific Ocean. What are you interested in accomplishing, with the Wheelmen, throughout 2014 and 2015? As president of the club this year my goal is to encourage as many members of the Wheelmen and Cal Poly community to ride bikes. It is a challenging goal because the club has many different members with wildly different cycling backgrounds but I hope to foster an organization that appeals to as large of a group of cyclists as possible. What are you studying at Cal Poly San Luis Obispo? What is your favorite genre of music and your favorite song? That is a difficult question because I tend to go through very short, intense phases of music selection. Currently the “Electropositivity” playlist on Spotify is on repeat. Do you prefer “SLO Donut Company” or “Old West Cinnamon Rolls”? Old West. Is that even a question? Please provide us with one interesting fact about yourself. I placed 36th in my age group at the Age-Group World Championships in Budapest, Hungary in 2010 for sprint distance triathlon. Aside from cycling and education, what occupies your time?